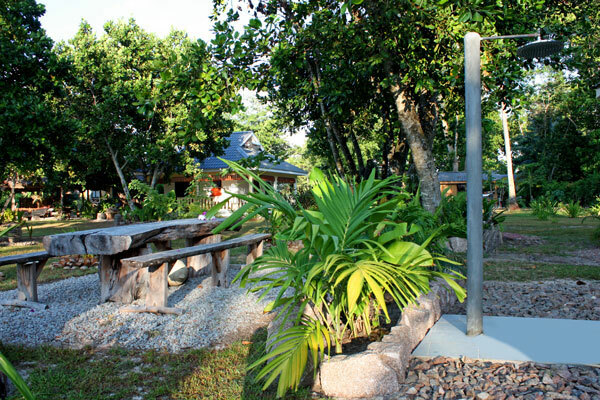 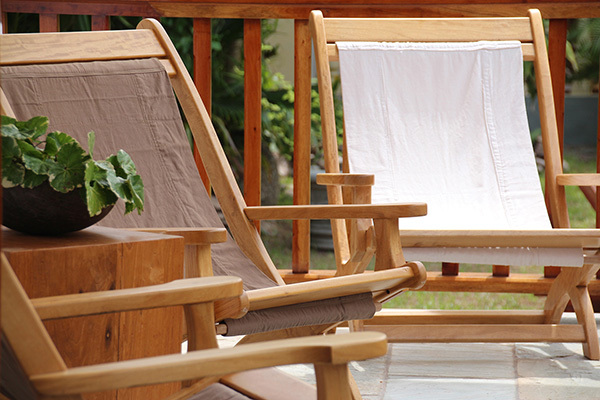 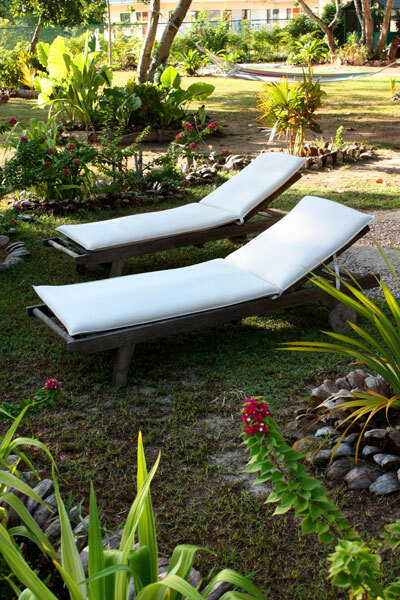 Villa Palmier is ideal for families or friends looking for a relaxing holiday. 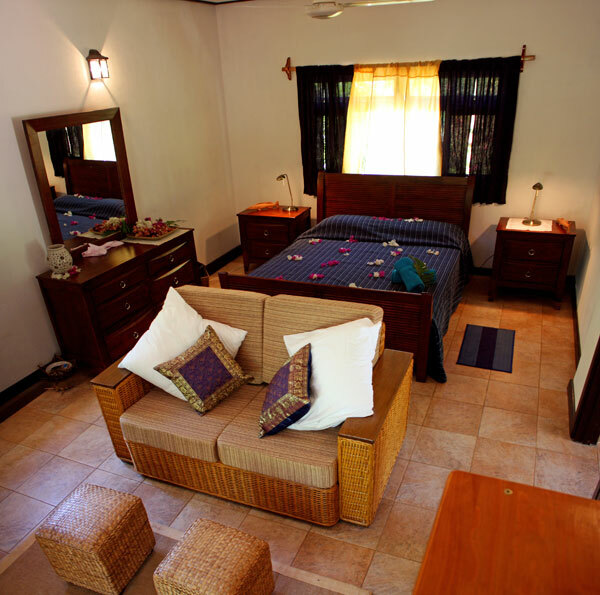 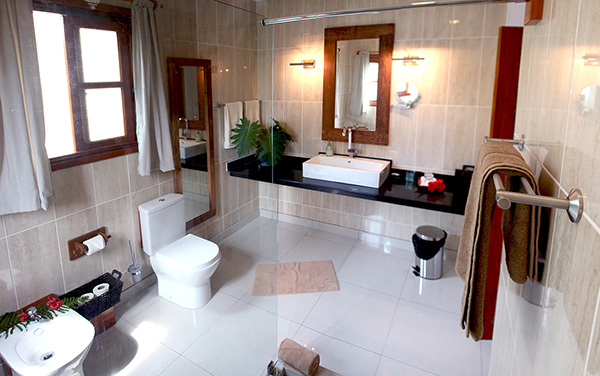 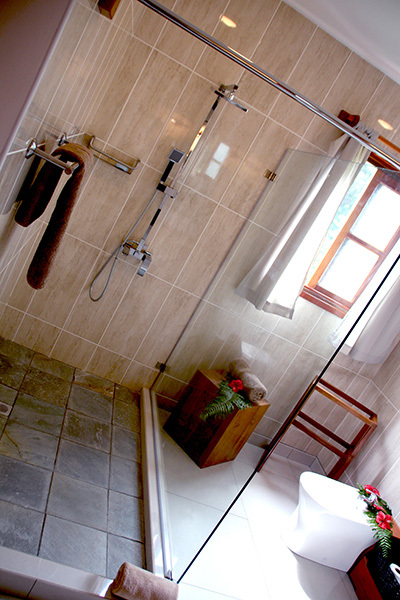 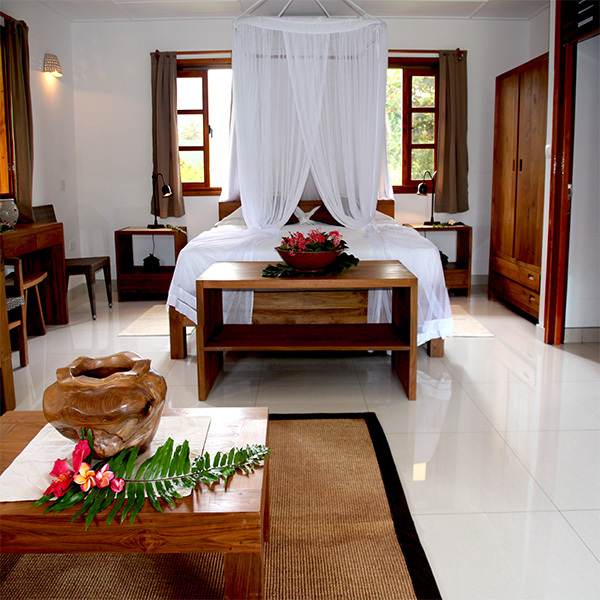 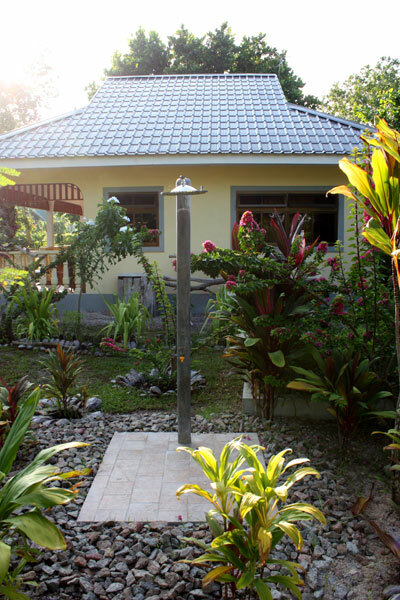 This bungalow consists of two double bedrooms, (Palmier 1 & Palmier 2), with sitting room and en suite bathroom. 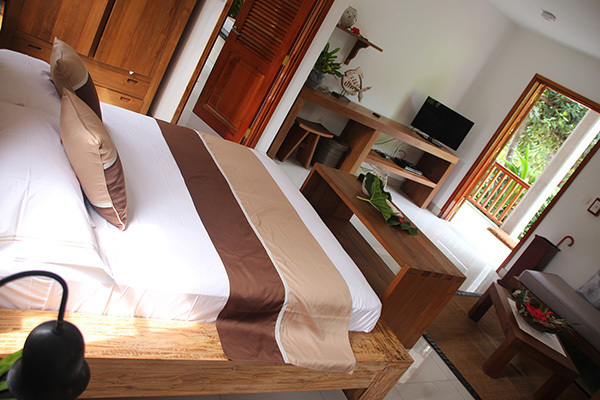 The bedrooms are accessed individually, from the veranda, and are not interconnected. 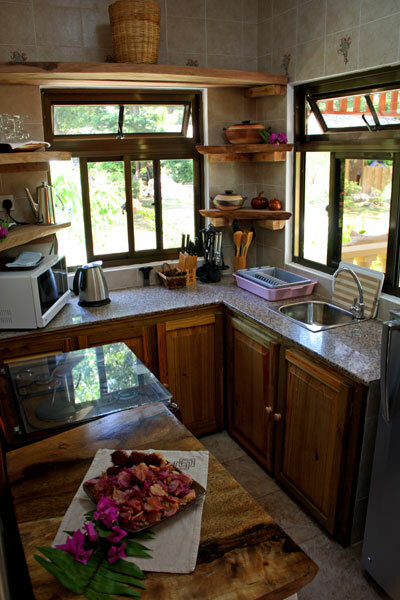 There is a sharing kitchen, situated between the two rooms. 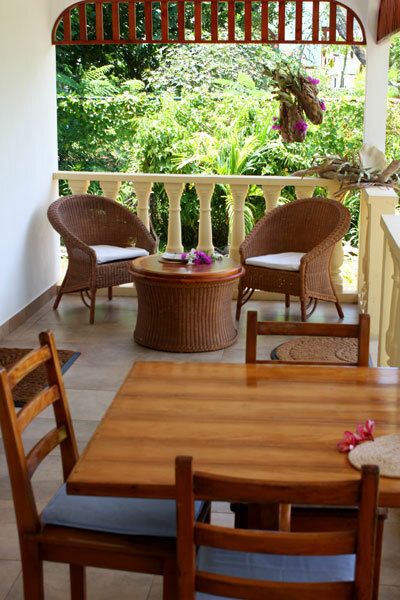 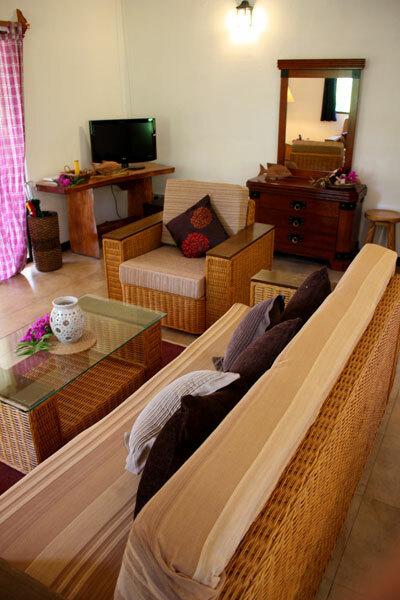 Each bedroom has its own sitting area and dining table on the veranda. 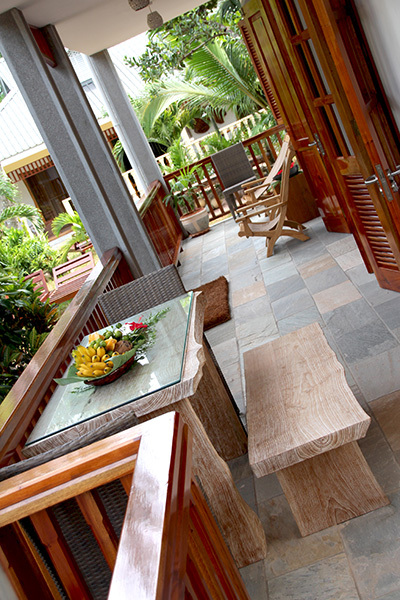 The veranda spans the whole front length of the villa. 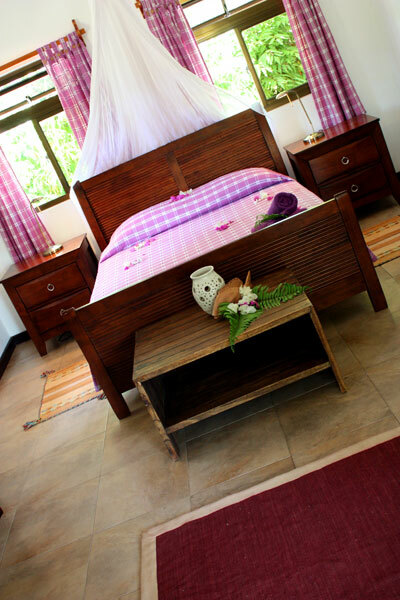 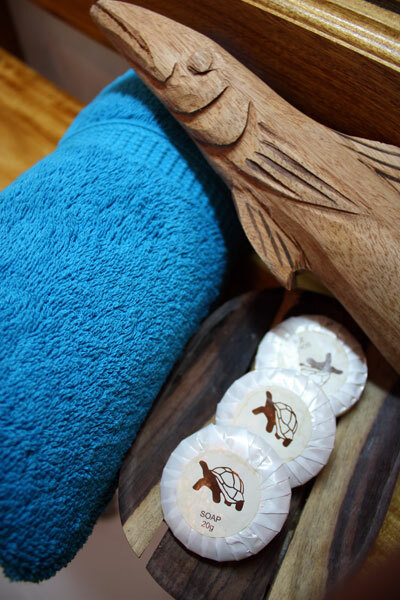 Kaz Vileya caters for the couple wishing to spend their holiday in a relaxed and calm environment. 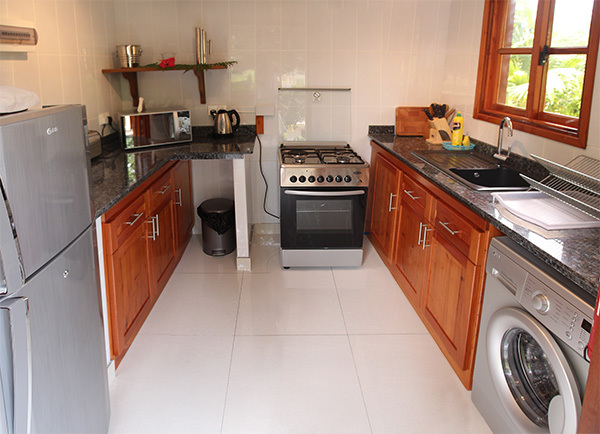 This bungalow has an open plan double bedroom/sitting room, bathroom, a fully fitted kitchen and a large veranda. 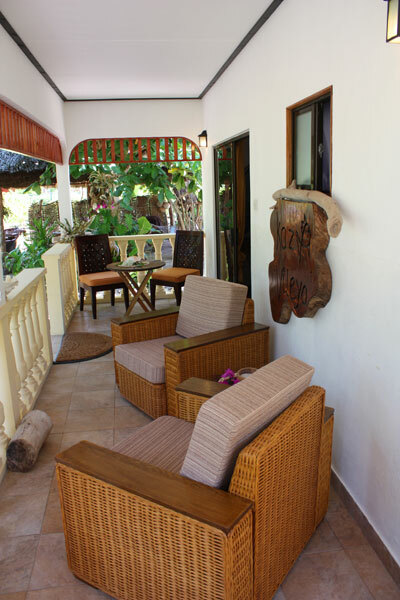 Our two newly built apartment buildings have been inspired by the traditional Creole architecture and allow our guests to fully experience the Creole ambience. 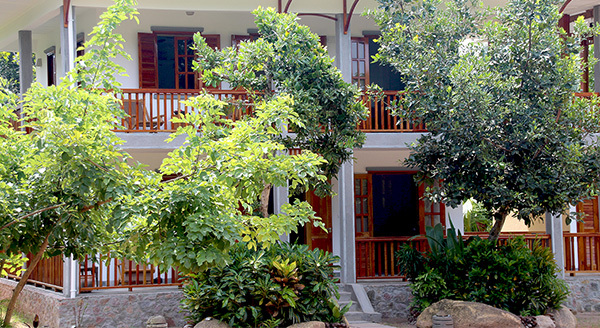 Set in the lush tropical garden, each building consists of a ground floor and first floor apartment unit and each apartment has its own private entrance. 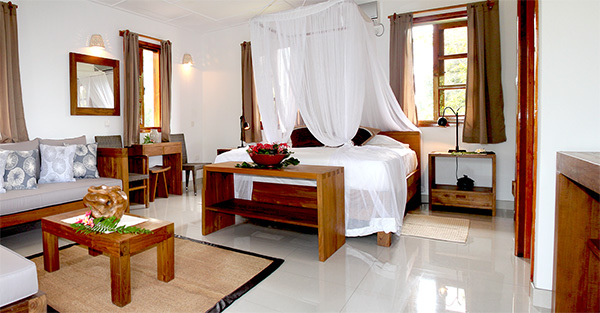 Our four 79m² apartments are elegantly furnished, offering a spacious open plan bedroom and sitting area, en-suite bathroom, a modern kitchen, dining and lounge area on the veranda with views of the garden and the Belle Vue mountain. 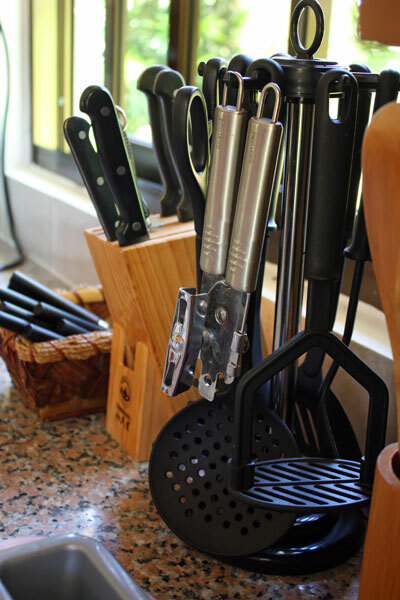 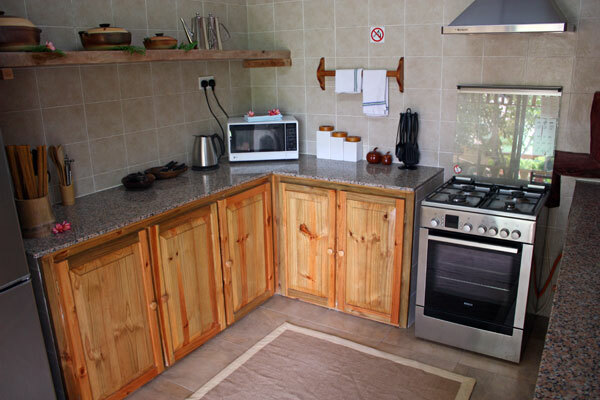 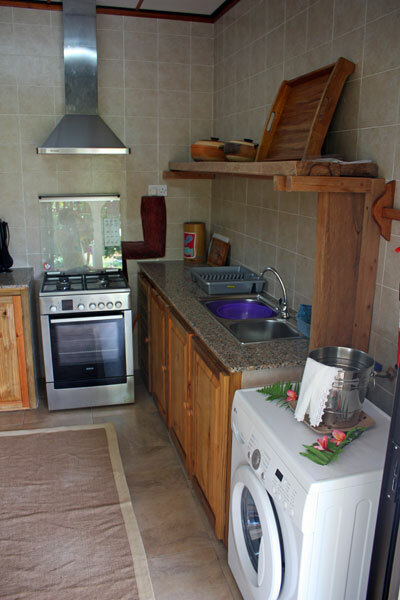 Fully equipped kitchen with electric hob & oven, fridge-freezer, microwave oven, kettle and toaster. 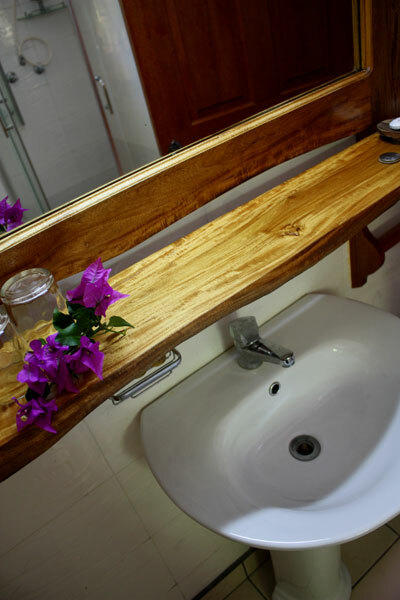 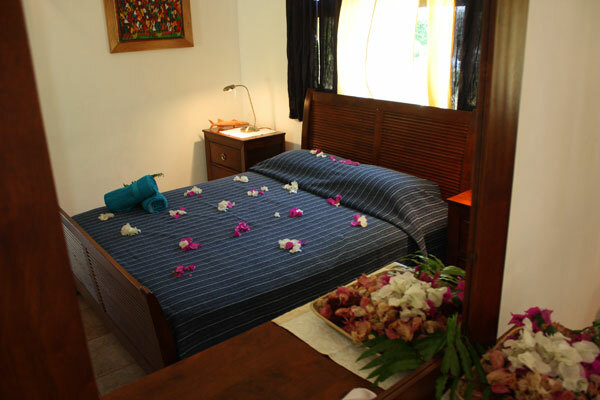 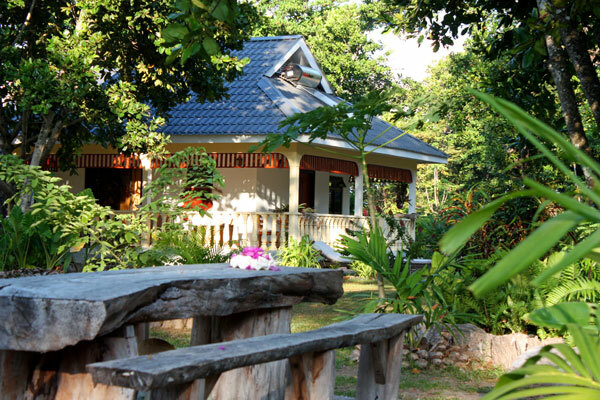 The apartments and bungalows are serviced every day except for Sundays.A food and beverage 'starter pack' and a fruit bowl are available upon arrival. 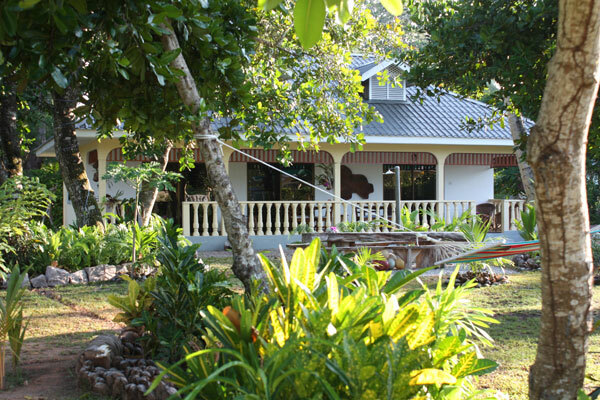 Boat excursions to neighbouring islands, tropical guided tours and fishing trips can easily be arranged.